In all modern bathroom designs, the most important element to consider is the walk in shower. Opening the style of the bathroom will provide a new fresh and luxurious look to the whole home. If you are thinking to redesign your home spaces and give a little bit more of a spa-like look, then you are on the right path. 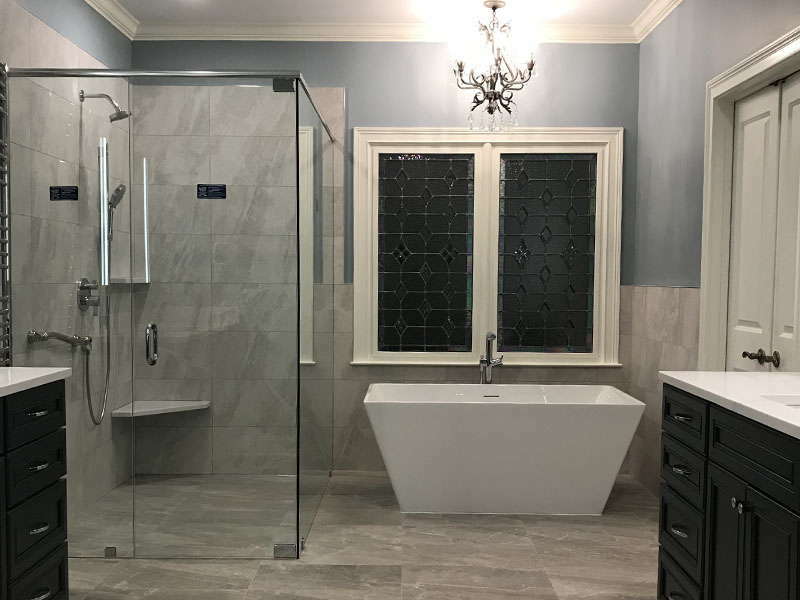 There are many different options and designs for walk-in showers on the market, whether you search online or you are working with experts of remodeling. 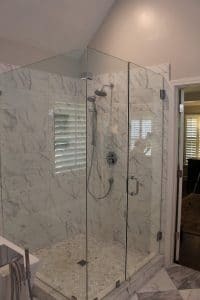 Though, the real definition of a Walk-In Shower is of a shower that does not have a shower door, to give you a great showering experience and to maximize the space. The walk in shower has a fully waterproofed floor to allow you to step into your shower without opening any doors, basically like if you were entering a separate room. And in many designs you don’t even have a curb to step on. What’s the difference between a Walk-In Shower and a Curbless Shower? Most of the modern designs for bathrooms feature large spaces dedicated to the shower, where the extra width is obtained with using a smaller tub, a freestanding tub, or no tub at all. And of course, the greatest guest is the frameless shower glass door, that does require minimal maintenance and cleaning care. The frame of the shower will now have enough space for a large bench, and a wide and tall shampoo niche, or maybe a nice teak seat to add some personality to the design. Another possible feature might be a doorless shower, with a glass panel that works as a wall, to partially protect the opening from splashes and to get more light inside the shower. Many times the design includes a level entry shower floor, also called curbless, because it does not have the step at the entrance of the shower. This is the ideal option for aging in place, for wheelchairs or walkers, or for elderly residents who have mobility issues. But if not for a need, a curbless simply has a stunning look.